My now teenagers, loved Ms. Frizzle and the kids from the Magic School Bus when they were younger. We had the shows on old VHS tapes that got worn from so much use. We had picture books and chapter books, you name it.. they loved it. I am so excited to share the three all new, never released episodes with my young 5 and 8 year olds. I am pretty certain the teens loved it too! 78 minutes total viewing fun. It is available in both Spanish and English! Geared for ages 4-10.. but if you have older ones who remember watching it on TV, they will love it as well! Enter to win this Scholastic DVD from NewKideo! For Earth day the kids and I are starting a herb garden in our kitchen! We are going to plant a tree! 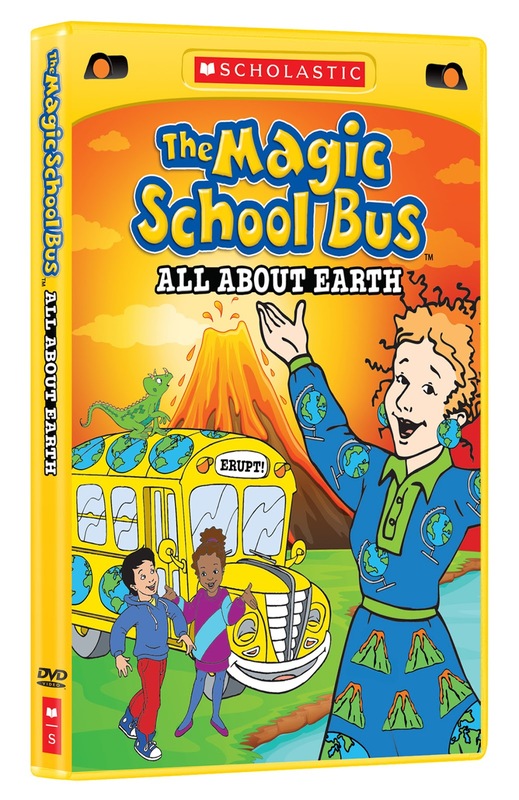 Love Magic School Bus ;-) Thanks for the chance to win this. My friend bought me a little pine tree for my bday in Dec. we are planting that in our yard. I am planning to send an activity box to my grand kids with ideas on thingskids can do and coloring sheets. I also ordered them an endangered life coloring book from the department. We will continue to recycle all we can. For Earth Day we learned how to make seed starters from toilet paper tubes and will start some tomatoe seeds for our garden.. THat is recycling and reusing. We're not really doing anything for Earth Day, but we are planting our first garden this year. We are going to the Earth Day Festival. Have a lesson on "Earth Day". We will be cleaning up the park near our house. We do not have any special plans for Earth Day, but will continue to recycle all that we can. We spent the day at the aquarium! my son and i planted apple seeds! Recycling. :) And reading the weekly reader about recycling.